I’m so excited because I will shortly be off to Cabo San Lucas, Mexico, to attend my sister’s wedding there. I’ve never been to Mexico, so can’t wait. When I tell people that I am going to Mexico for my sister’s wedding, for some reason most of them say, “Wow, is your sister marrying a Mexican? How do you feel about that?” First of all, have they never heard of destination weddings? Secondly, he is not Mexican, but even if he was, who cares? Anyway, of course, I have to start packing all my stuff WAY in advance. But even if I start in advance, there are always last minute things that I have to remember to get. 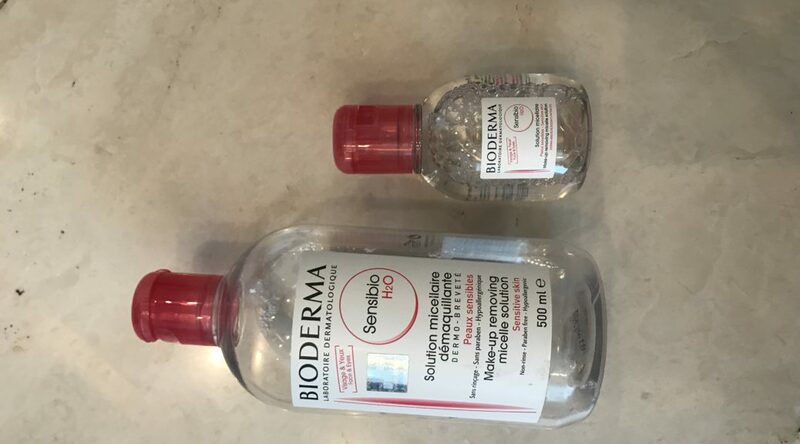 Yesterday, I went to the drug store to buy Bioderma Sensibio H2O. I LOVE that stuff!! I use this instead of toner. My dermatologist recommended it to me. She said that it is alcohol free and is excellent for cleaning and removing makeup without irritating the skin. I love it because you don’t have to rinse it off and your skin feels really clean and fresh after you use it because it gets all the residual make-up and dirt off your face. When I went to the drug store to buy it, a guy came up to me and said, “Can I help you Madame?” And then when I went to the counter, the lady said, “Will you need a bag, Madame?” The thing is, it really irritates me when people call me Madame. It reminds me of when Cher’s character in the movie, Burlesque, said to the Christina Aguilera’s character, “Stop calling me Madame, I’m not that old!” So, I was thinking when was the pivotal point from which I became a “Madame” instead of a “Miss”? And why is it that men are all called the same thing, “Sir” — it doesn’t matter if they are married or not; or how old they are? So why the heck is there a distinction for women? When you look up Madame in the dictionary, it just says “a title of respect used in speaking to an OLDER woman”. So when does someone decide whether to call someone a Madame or not? Do you just guess her age and assume that geez, she looks older so call her Madame? Why can’t we all just be called “Ms”? Like men who are just called “Sir”, I don’t think we need a different title just because we are a bit older or because we are now married. I asked a few friends about this and they all said, “Yeah, I hate it when they call me Madame”! That being said, it is bit weird when someone calls me “Miss” because I am thinking, “are they BLIND?” Early this year, I was at a dinner event and the waiter said, “What entrée would you like Miss?” I was very happy because I thought, hmmm … my dress and makeup must make me look very young. But then he went to the woman next to me and said the same thing to her. When I turned to see who he was talking to, it was my friend who is 65 years old.